Miami is pretty great, it’s true. DJ Khaled loves us. Lebron James loved us. Pitbull practically owes his career to us. While the rest of the world suffers through things called “bomb cyclones” and “snow,” we get to spend our days playing volleyball on South Beach and drinking at rooftop bars in crop tops. In addition to that, it’s a waterfront city bursting at the seams with all sorts of culture -- art galleries, off-Broadway productions, Cirque du Soleil pop-ups, classical concerts, underground music venues, and more. Yes, the Magic City is a place with a little something for everyone. That being said, even its biggest fans need to get away from the glitz, glamor, and abhorrent traffic once in a while and hit the road to someplace else. In that spirit, we’ve come up with a list of escape routes, perfect for a day trip (all within a two-hour drive from Miami), to cultural gems where you’re guaranteed to find a local (read: not touristy) crowd. 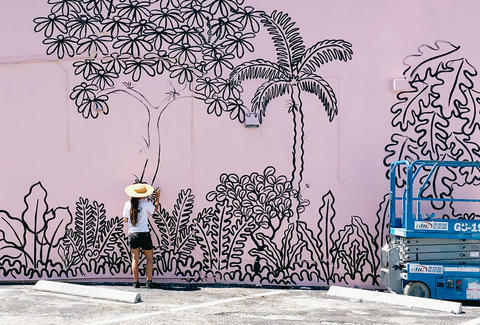 For a taste of street art à la Wynwood Walls, drive up to burgeoning downtown Hollywood, which claims to have the largest collection of outdoor murals in Broward County. Here, you’ll find everything from a 3D portrait of Salvador Dali, Frida Kahlo & Jean-Michel Basquiat; junglescapes; an Art Deco-style pool; and a painting of a sunset that covers an entire parking garage. The murals were painted by a mix of local, national, and international artists, and can be found on buildings spread throughout the 12 blocks west of ArtsPark at Young Circle. And if you visit during Hollywood ArtWalk on the third Saturday of every month, at 6pm you can get a free walking tour of the murals. 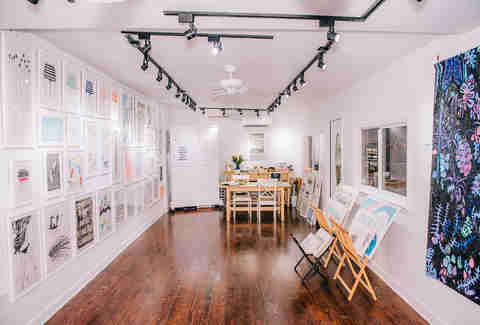 As if you needed another reason to go to palm-fringed Islamorada (besides the tiki rum cocktails, obviously), its Third Thursday art walks are one of the better ways to kick off your it’s-almost-the-weekend itinerary. The artist community -- marked by rows of pastel-colored houses around Mile Marker 81 on Overseas Highway -- hosts this monthly bazaar, which features live music on three stages, food from Upper Keys restaurants, and booths selling handcrafted bracelets, paintings, photography, sculptures, and more. If you live in Florida, the word “Everglades” probably conjures visions of overgrown natural beauty, airboat rides, shooting ranges, and that place you go every January to dump your Christmas tree. If you’ve never lived in Florida, you picture alligators. Artist/photographer/conservationist/bearded local Clyde Butcher captures both sides, and he’s spent 50-plus years taking black-and-white photos of many of Florida’s untouched natural landscapes -- especially the Everglades. 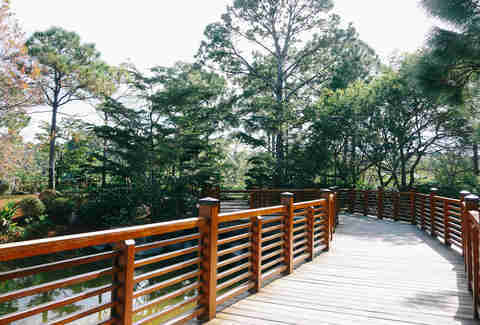 His gallery even sits right in the heart of the Big Cypress Natural Preserve. Whether you drive down for the day or rent Butcher’s backyard bungalow and stay the night, you can browse his collection, buy a few pieces for yourself, or make like Clyde and go on a “Swamp Walk Tour” of the Preserve behind his gallery. Pro tip: Bring more than one change of clothes. Like we said… it’s a swamp tour. While the name makes it sound like a place filled with donut shops, FATVillage, short for Flagler Arts & Technology Village, is actually an arts community tucked into downtown Fort Lauderdale. 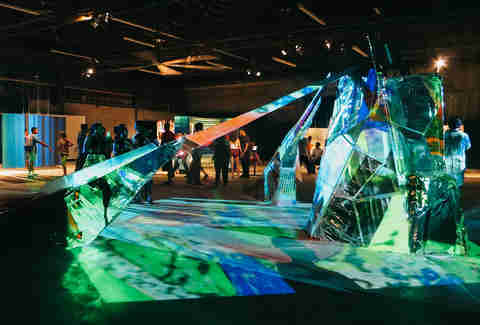 Its popular monthly block party has become a hub for permanent art galleries and pop-up booths from local artists. Thousands of people come out on the last Saturday of every month, and if they’re not buying art, they’re eating vegan hot dogs, attending wine-tasting classes, or mingling with other professionals. The people-watching is fantastic, so expect a solid mix of families, elderly people, eccentric musicians, hipsters who “did art walks before it was cool,” Fort Lauderdale yuppies, and the occasional unshowered artist. If you’re trying to find Rain Barrel Artisan Village, just drive south on Overseas Highway and look for the nearly 30-foot-tall, 40-foot-long lobster named Betsy. Boom -- you’re there. For more than 30 years, this offbeat, side-of-the-road artisan marketplace has been the place to go for in-the-sand artist studios, a sculpture garden, and real Keys locals. Open every day from 9am to 5pm, come here to watch artists make everything from pottery to home décor, take a studio tour, try your hand at jewelry making, and, of course, eat a Maine lobster roll at the Lobster Shack. If you’re confused about why 200 acres of authentic Japanese gardens are sitting on a lake in the middle of Palm Beach County, you’re not alone. We were, too -- until we realized it was a testament to Japanese farmers who tried (and failed) to revolutionize agriculture in the area in 1904. Now, these grounds are home to a museum with more than 7,000 Japanese and Japanese-American art and artifacts, a world-class bonsai collection, six different gardens packed with waterfalls & koi ponds, calligraphy workshops, and the Seishin-an Tea House, which hosts monthly Japanese tea ceremonies. Basically, it’s a Florida yogi’s dream come true. When considering the overall makeup of Florida, Jupiter is about as remote and lifeless as the planet that shares its name. That said, the city is filled with beautiful (albeit quiet) landscapes and rich (albeit older) celebrities, so we South Floridians still claim it as our own. 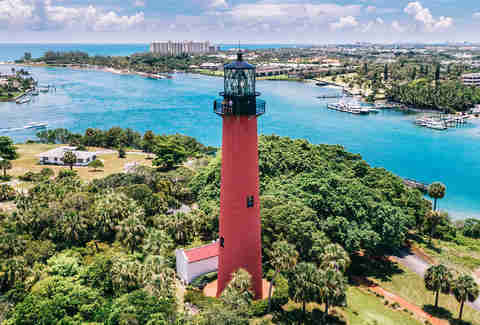 One sight that shouldn’t be missed, though, is the Jupiter Inlet Lighthouse, which was built in 1860 and is listed on the National Register of Historic Places. Beyond the museum’s guided tours, the lighthouse hosts a number of cultural events on weekends throughout the year: There’s story time and crafts for the grade-school set at its annual Sea Fest for Kids on February 24, then in early spring, catch the Wild & Scenic Film Festival, where a number of environmental and adventure short films are projected on an outdoor screen, right by the lighthouse. In March, you can also hit the nearby Artfest by the Sea and join the masses strolling State Road A1A to peruse more than 300 booths displaying art, sculpture, photography, and jewelry. Or, if you’re too lazy to do any of those things, you can always just take in the gorgeous views from the top. This 180,000-square-foot, air-conditioned, indoor flea market looks like a scene out of some Ferris Bueller-esque fantasy. There’s a Ferrari museum, arcade games, carnival rides, a barber shop, a greasy pizza joint called Tic Tac Dough, a tire shop, a farmer’s market, 2,000 vendors selling handicrafts and cheap goods, an upholstery shop and -- as required of every cheesy, side-of-the-road mall -- a food court. The largest draw, of course, is the Thunderbird Drive-In Movie Theater (the world’s largest drive-in), which has 14 outdoor screens playing new releases every day. Jennifer Agress is a Miami-based travel, food, and drink writer who loves road trips outside of Miami, but hates 30-foot-tall lobsters.